Dorothy Nesbeth makes her way into a police act hearing at the Tilston Armouries in Windsor on Tuesday, July 3, 2012. In the summer of 2010, Windsorite Dorothy Nesbeth returned from a trip to Detroit with undeclared alcohol: 102 cans of beer, two five-litre boxes of wine and two bottles of rum. Ms. Nesbeth, a constable in the Windsor Police Service, was caught, and soon suspended with pay as her bosses began the process of stripping away her badge. After collecting more than $400,000 while off the job — and undergoing a much-delayed review process that cost upwards of $500,000 — the constable was thrown off the force just before Christmas. But now, after she filed an appeal, Ontario law has required that Ms. Nesbeth be returned once again to the payroll. “The circumstances surrounding these allegations were so serious that dismissal was warranted,” said Windsor Police chief Al Frederick on Dec. 19, 53 months after the officer was first suspended. In a 31-page ruling prepared by Retired Supt. Robert Fitches, Ms. Nesbeth was described as no longer being trustworthy as an officer and beyond hope for rehabilitation. Aside from a tearful apology at the misconduct hearing, Mr. Fitches doubted that she knew she had done anything wrong. The constable, for her part, has claimed that as a black woman, she has been targeted for dismissal by the “old boys club” mentality at the Windsor Police. “Everyone in the greater Windsor community knows the Windsor Police Service has a history of hiring and promoting on the basis of nepotism, cronyism, and favouritism,” her lawyer, Patrick Ducharme, said at the officer’s disciplinary hearing. In 2013, Ms. Nesbeth even sued CBSA, saying it was guilty of “misfeasance” for telling her bosses about the seized alcohol — and kicking off the disciplinary proceedings. She also sued the Windsor Police sergeant who took down the information, saying he shouldn’t have passed it on. Ms. Nesbeth was among several Windsor Police officers accused of border violations during the same period. Only one year before Ms. Nesbeth’s fateful border crossing, another veteran officer, Ronald Hansen, was caught at the Detroit border with a carload of undeclared water pipe tobacco. Mr. Hansen resigned before his misconduct charges could go to hearing. A few months after Ms. Nesbeth’s suspension, Windsor Police also booted out Const. Colin Little, a nine-year veteran who had been found swapping licence plates on his car in order to better sneak shipments of booze over the Ambassador Bridge. Even if Ms. Nesbeth had spent the minimum of 48 hours on U.S. soil, her car was packed with more than 13 times the duty-free allowance. Nevertheless, the constable’s claim at her hearing was that she didn’t technically smuggle anything because the border officer did not specifically ask her if there was any alcohol in the car. The agent had instead asked her if she had purchased any alcohol in the United States, to which she shook her head. Ms. Nesbeth had indeed paid for liquor at Detroit-area supermarkets, but she said it was for her mother, who was in the car. “I asked her to pay for it for me then I would pay her back,” her mother, Winnifred Garriques, told the hearing. 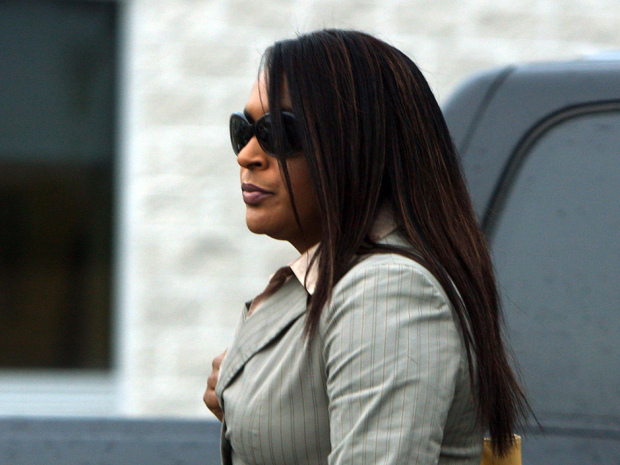 “It’s just a phrase people say all the time,” Ms. Nesbeth testified in September, 2011. A misconduct charge for allegedly threatening the border officers was later dropped. On New Year’s Eve, Windsor Police confirmed that Ms. Nesbeth was again receiving an officer’s salary after she filed an appeal. Chief Frederick has previously said that provincial rules dictate that Ms. Nesbeth must go back on paid suspension until the appeal process is finished. Ontario is the only province that mandates that police officers suspended for misconduct continue to receive a paycheque. Under the Police Services Act, even if officers are facing criminal charges, they have to be paid their full salary until their dismissal has finished wending its way through the proper channels. In June, the Ontario Association of Chiefs of Police passed a resolution calling on the government to strip suspended officers of their paycheque, arguing that the public trust was hanging in the balance. On Thursday, Joe Couto, a spokesman with the Association, told the National Post that suspension without pay remains a “key priority” for the coming year. Another Ontario Government Funded Criminal that is part of the Criminal Cartel directly promoted and funded by the Ontario Government called Ontario Police Services where they are totally unaccountable and where absolute power corrupts. A classic example of a Corrupt Rotten Child Abusing Evidence Fabricating "cop" is that of Detective Peter Van Der Zander of the Ottawa Police who Fabricates evidence to NOT charge violent women who attempt to murder their husbands. You see the Ottawa Police operate a Gender Superiority program, that unlike the 3rd Reich, is even more fascist in nature, it targets victims because of their gender, fathers.